The outdoors is meant to be explored. The highest hills, the deepest canyons, and the farthest reaches of the forests all lie in wait. And now, we bring you an entirely new vehicle that can get you there. 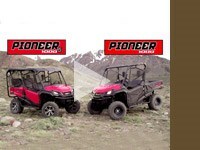 The all-new Pioneer 1000 is the world’s preeminent side-by-side, both in the Honda lineup, and the industry. 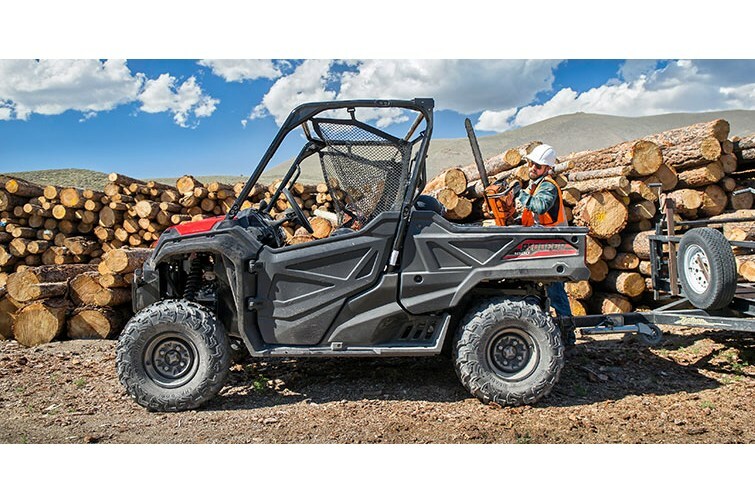 Built around a class-leading 999cc twin-cylinder engine, it can haul up to 1000 pounds and can tow a full ton. Meanwhile, the broad front bench provides comfortable seating for three adults. Look closer, and you’ll find even more difference-making technology. Like the standard-equipment fully-automatic six-speed Dual Clutch Transmission. The driveline that lets you choose 2- or 4-wheel drive. 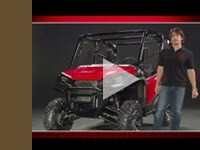 A High/Low dual-range subtransmission that delivers the power and helps access the traction you need. 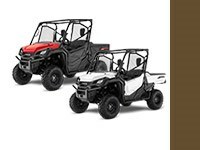 Open or locked front and rear differentials that help prevent you from unnecessarily tearing up delicate fields or surfaces. Hydraulic tilt bed. And fully-independent front and rear suspension. 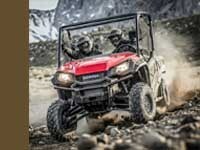 Everyone’s talking about the all-new Pioneer 1000, and for good reason. What’s the next best thing to driving one yourself? Seeing one in action. And that’s exactly what you can do with this new video. Let’s go for a ride! 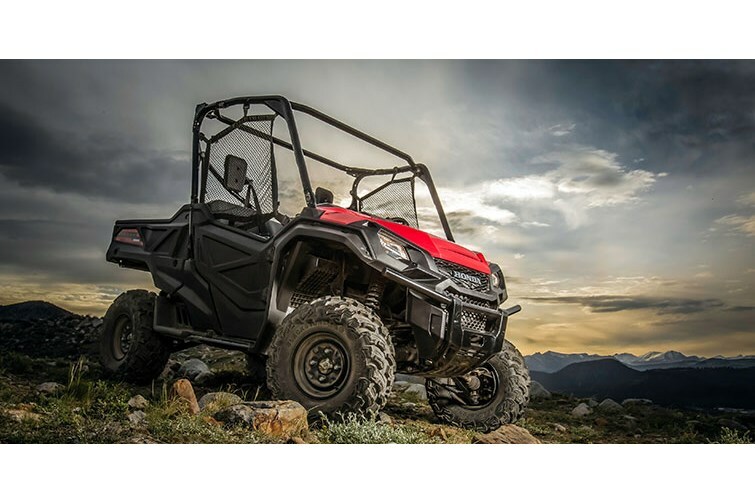 The all-new Pioneer 1000 is loaded with refinements and features. Want to find out what puts this side-by-side head and shoulders above the rest? 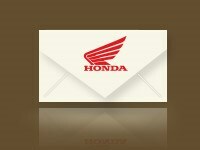 Just check out this video, where our product experts will give you a personalized tour. The 1000-class Engine You’ve Been Waiting For. 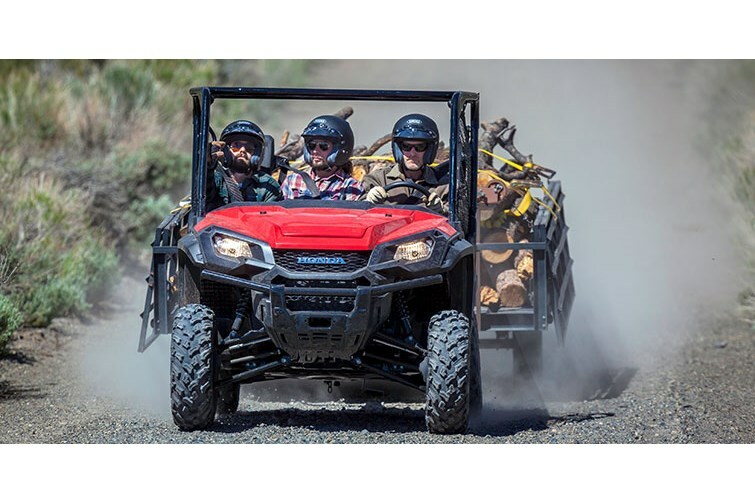 The Pioneer 1000 features an all-new, purpose-built engine designed just for these vehicles. 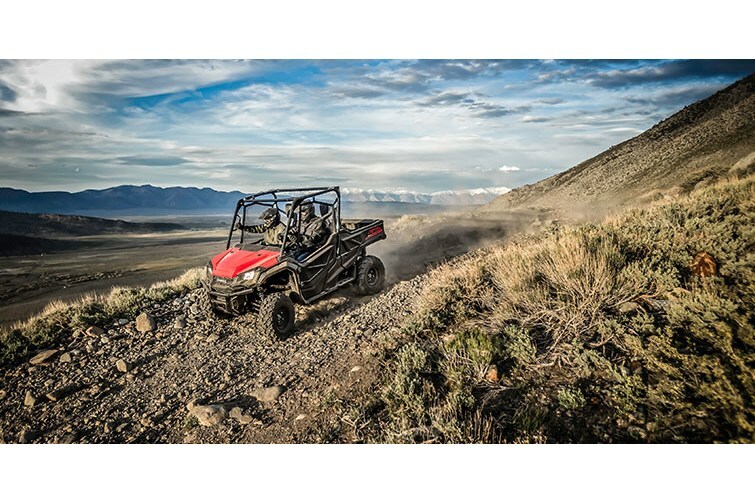 Displacing a class-leading 999cc, the inline-twin Unicam® design offers the power and performance that set the new Pioneer 1000 apart from anything else in its class. 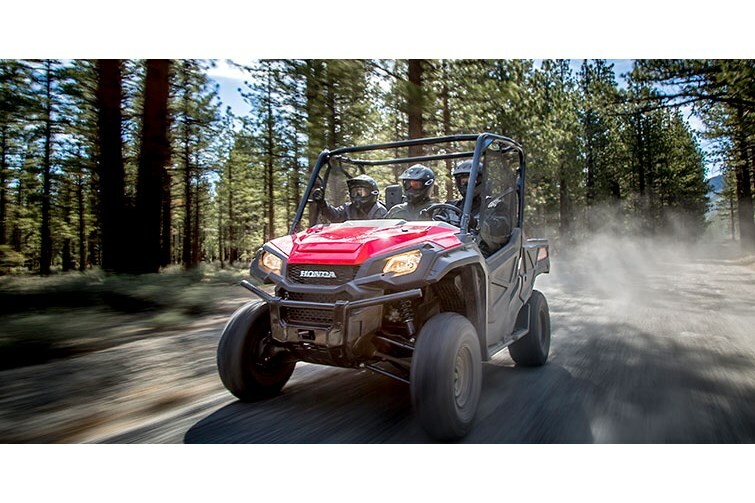 Another huge difference compared to the rest of the field, the Pioneer 1000’s Automatic Dual Clutch Transmission features tough, steel gears and shafts, with no belts to burn up or torque converters to steal efficiency. 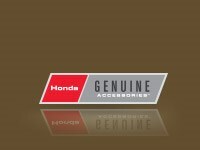 You get real compression braking for better control, and a more connected feel in all conditions. 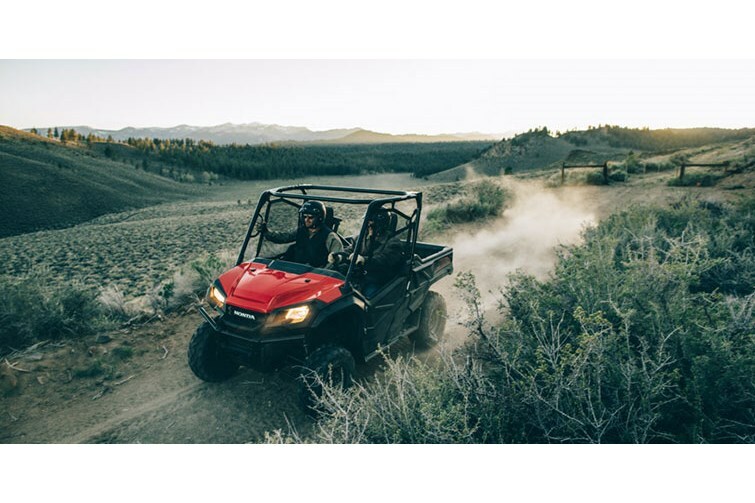 Engineered for uncompromising comfort and capability, the Pioneer 1000 features 27-inch tires, 10.5 inches of front suspension travel and 10.0 inches in the rear, and over a foot of ground clearance, so it’s built to take on your biggest adventures. 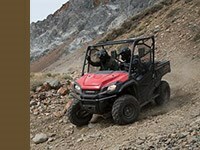 With over 70 accessories available, you can set up the all-new Pioneer 1000 for just about any job. 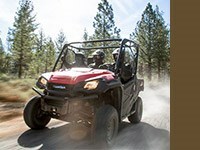 We even have special packages for hunters and fishermen, utility work, and recreational outdoors use. 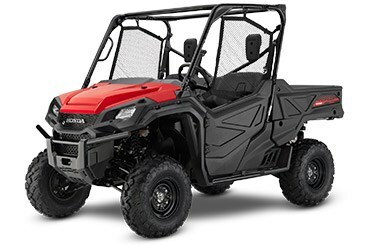 Want to find out more about Honda’s all-new family of Pioneer 1000 side-by-sides? We’ll hook you up with everything you need to know, and keep you updated on all the news. It’s all just a click away.